Elected officials and environmental activists will recognize the significant investments made and their continuing commitment towards water and land conservation during an Earth Day cleanup event at Bartlett Park. ST. PETERSBURG – In recognition of the 49th Earth Day, elected officials and community members from Pinellas County will gather Monday (April 22) to celebrate the importance of parks and conservation with a press conference and cleanup at Bartlett Park. 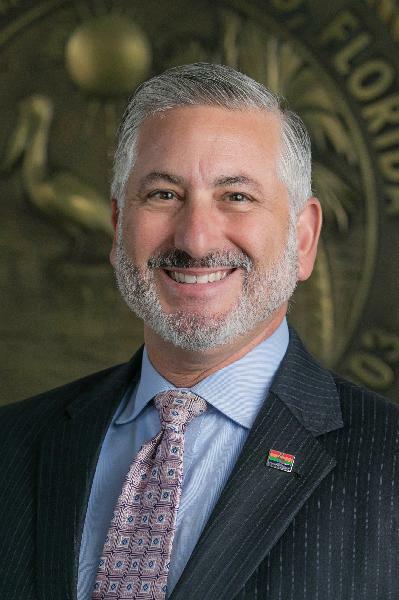 Elected officials including U.S. Rep. Charlie Crist, D-St. Petersburg; St. Petersburg Mayor Rick Kriseman; Pinellas County commissioners; and St. Petersburg council members will recognize the significant investments made and their continuing commitment towards water and land conservation. Representatives from Florida Conservation Voters and Tampa Bay Watch will also be at the event. The event is schedule for 10 a.m. to noon Monday at Bartlett Park, 2000 Seventh St. S in St. Petersburg. The public is invited to stay for a park cleanup led by Tampa Bay Watch after the press conference. 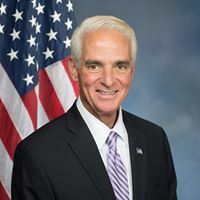 Crist has been a leader on environmental issues at the state and federal level, including supporting re-authorization and permanent funding for the Land and Water Conservation Fund in February 2019. The fund has infused more than $14 million into 46 parks, including Bartlett Park, and wildlife refuges in Pinellas County. The city of St. Petersburg manages 137 parks on 2,300 acres of public land, including more than seven miles of downtown waterfront. The city is also accelerating efforts to tackle climate change and promote a sustainable future. FCV aims to become the state’s leading non-partisan political voice for protecting Florida’s environment by helping elect and holding officials accountable for their conservation and environmental policy votes through a multi-pronged approach, including elections, legal action, voter outreach, grassroots activism, and lobbying. The Florida Public Lands campaign celebrates beloved parks and preserves throughout the state and engages Floridians in sharing why they #LoveFlorida. With a goal of re-authorizing and fully funding critical land and water conservation programs like Florida Forever and the Land and Water Conservation Fund, FCV highlights iconic Florida parks and preserves that have been protected through these programs. Tampa Bay Watch is a 501(c)3 non-profit dedicated to the protection and restoration of the Tampa Bay estuary through scientific and educational programs. The Land and Water Conservation Fund is one of the most effective programs nationally for conserving parks and access to recreation. Started in 1964, this bipartisan effort directed $900 million annually from oil and gas fees towards the creation of national wildlife refuges, forests, rivers, lakes, community parks and trails in each 50 states. Pinellas County has received more than $14 million to support the Pinellas National Wildlife Refuge and 46 parks, including Bartlett Park in south St. Petersburg. This fund expired in September 2018 but, was re-authorized with permanent funding in February 2019. The Florida Forever land and water conservation program has served as a nationwide model for conservation. Started in 1991 by then-Gov. Bob Martinez and the Legislature as Preservation 2000 and then as Florida Forever under the leadership of Gov. Jeb Bush, the program infused $300 million annually into conservation and recreation. The program was de-funded following the 2008 recession and has had meager allocations in the past decade, despite widespread public support. The Water and Legacy Amendment (Amendment 1) passed by 75 percent of voters in 2014, yet the Legislature has failed to adequately fund the Florida Forever program. With two weeks left of the regular session, both chambers have recommended less than $50 million, despite a recommended allocation of $100 million by Gov. Ron DeSantis.